Full flavoured chardonnay. Oak well integrated. Good early drinking restaurant wine. Almost oily texture. Says only 13% on the label, thank goodness, this wine would be unbalanced if it were any higher. 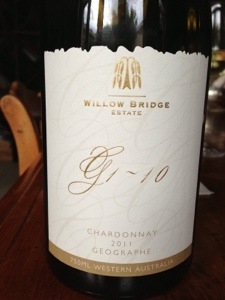 Although this is a lucious forward wine it does have nice balancing acidity – for now.